Some updates to the zeptractor, probably done for now until I figure out if this was just a humongous waste of time or not. Well at least I got to learn something about svg drawing. 1. added assorted famous regular polygons: triangle, square, pentagon, hexagon, heptagon, octagon, dodecagon. 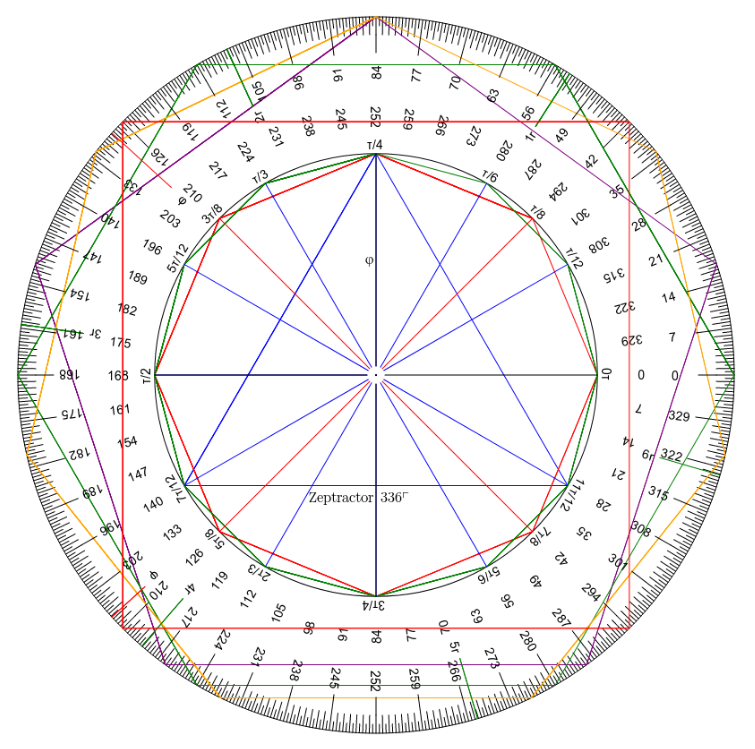 2. resized inner circle to divide radius in golden ratio. Also marked where circumference would be divided in golden ration (both directions, measuring from zero). 3. added radian marks (up to 6, only in normal direction). 4. added tau divisors … they’re more logical than the pi divisors. Arial has a sucky tau symbol. 5. put phi symbol on bare radius to avoid confusion. 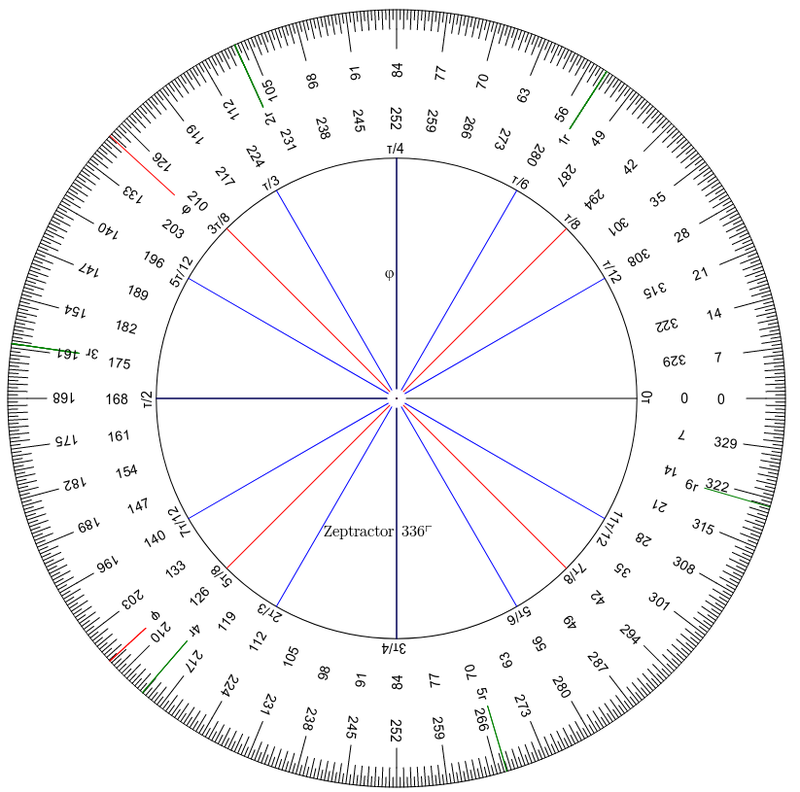 The zeptractor, the tool for people who really know their way around a circle. Here’s a simpler version without the regular polygons. This entry was posted in Cubit, Curious alignments, Giza by iandoug. Bookmark the permalink.